Sol Melia is to open a Norman Foster-designed ME by Melia property in London. 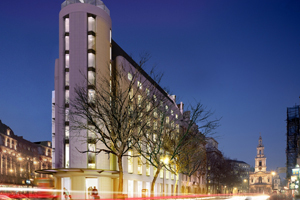 The Spanish chain has acquired a building in Holborn, near Trafalgar Square, and will open the hotel in 2012. The ME London will offer 173 rooms in four different categories and a 730sqm convention centre. The hotel will also offer restaurants and bars and will be Sol Meliá’s second hotel in London, joining the Meliá White House.